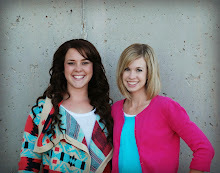 My kids will be out of school in just a little more than a week and we are gearing up for a great summer at our house. I love summertime. It means late nights, fire pit, Popsicles, sleeping in, swimming, road trips and so much more. But let's be honest, typically I start hearing the dreaded "Mom, I'm bored" statement about 2 weeks into summer vacation. That is why we always have a back-up plan. Today I want to share that with you. I always start by making my kids a summer schedule. I know it's a fun thought to just hang out and do whatever you want but in reality my kids are happier, healthier, and more productive if they have a set schedule. I also make them do chores - I know -GASP, "but it's summer mom". My theory is that just because it's summer doesn't mean we don't work. I still have to go to work in the summer, so my kids still have to do chores. 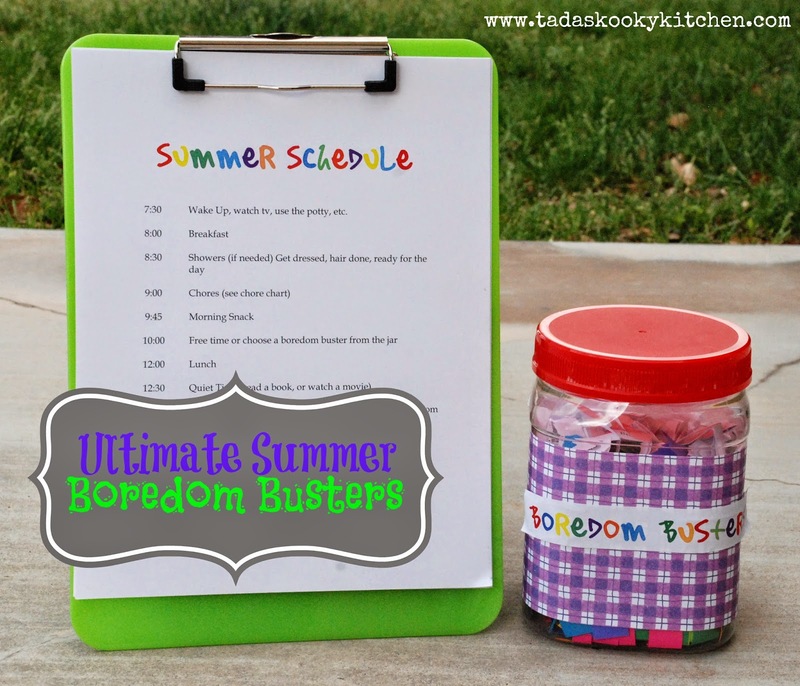 The last and probably the best thing I have ready to go for summer is our Boredom Buster Jar. It's a jar of things for them to do when they are really, really bored or just to fill some time in the day so that the dreaded electronics stay turned off more often than not. Ultimate Summer Boredom Busters - pdf. 1. PBS Kids Has educational games for kids. It is a little bit harder for kids 5 and under, they need parent supervision. 2. Disney One of our favorites. It has games and episodes to watch. Plus the games are easy enough that kids 5 and under can play by themselves. 3. Fun Brain Lot's of educational games. 4. Kids National Geographic Has games, crafts and recipes, science, videos, and animal information. It's perfect for the 5 and under crowd. 5. Wonderopolis Discover a new wonder each day. Wonders are amazing facts and intriguing questions such as: Why are they called Lava Lamps? What Badger has a sweet tooth? 1. Barnes and Noble - read 8 books, record them in a journal, receive a free book. 2. Scholastic Summer Reading Challenge - Read, log minutes, earn rewards. 3. Sylvan - Book Adventure - Read, take a quiz online about what you've read, earn prizes. 4. Pottery Barn Kids Summer Reading Challenge - Read, track progress, visit your local store for a free book. 5. American Girl - Reading Palooza - Enjoy reading, quizzes, and printables. 6. Chuck E. Cheese Rewards - Earn 10 free tokens by completing rewards calendar. 7. Pizza Hut Book It Summer Challenge - Begins June 1st. The challenge incorporates reading with fun activities, games, and a chance to win prizes. (Please read rules). Don't forget to check with your local library for Story times and other events. I hope this gives you all a ton of ideas for summer. Stay tuned, I have a fun summer activity with printables that I will be posting in a few days.